The Lower East Side where Neil and I have lived for the last decade is going through a huge transition. Right now, on what have been parking lots for the last 40 years, a major new development has started called: Essex Crossing. Last week I noticed that the mattress store on Delancey had closed and was mid-gut renovation. 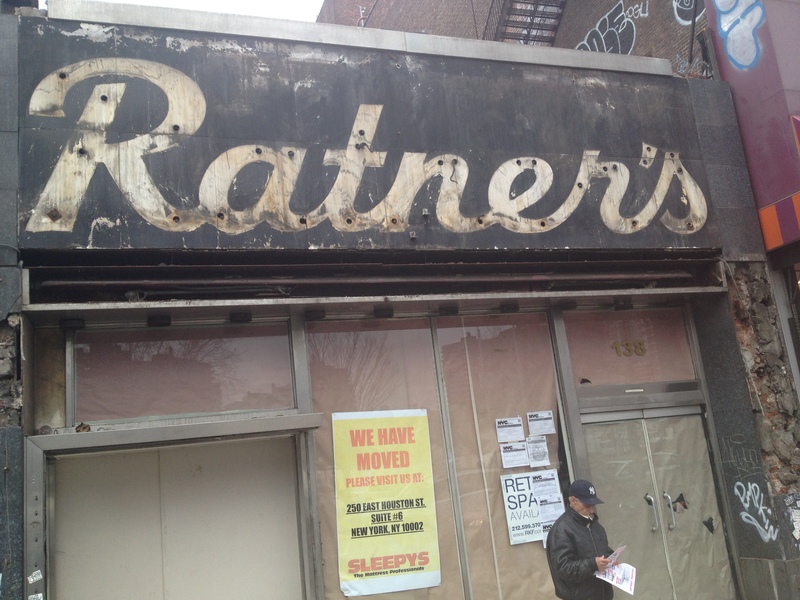 When they stripped away all the Mattress signs, there on the building buried for years, was the original Ratner’s sign. The year it closed a friend of mine said we had to go, so we made a date and went for lunch. I haven’t recollection of the food I just remember this large room filled with chrome and vinyl that looked like it was from a film set. I hadn’t thought about that lunch in years, then the other day I glimpsed the Ratner’s sign just before it was removed for good. The Lower East Side has changed so much over the years. I’m excited to see how this current reinvention will turnout, but I’m doubtful that it’ll be populated with family owned restaurants that reflect the people of the neighborhood. What do you think, am I being unfair? Looking at this picture below it’s incredible to think that just 2 blocks from our apartment used to ever look like this. Almost unfathomable to believe it is the same street I walk every day. Ever since I have known this part of Delancey it’s been filled with 99 cent stores, fast food chains and pawn shop/jewelry stores facing 4 blocks of parking lots. This entry was posted in Video and tagged Delancey street, essex crossing, jewish restaurants, Katz's Deli, Lower East Side, ratners. Bookmark the permalink. Love this post. All your excellent links make a fascinating trail of discovery. That the theater next door became Fillmore East where Janis Joplin and The Dead played. I also looked up The Naked City TV series on Youtube and playlisted it. 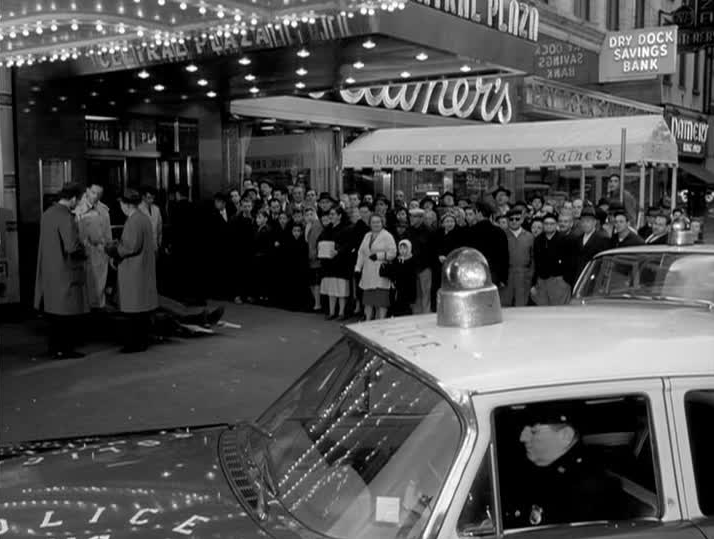 And did you notice that on the left of the street crowd photo there appears to be a mans legs on a stretcher…? Leg? I have to look at that again!